Where to play Re-Volt online? RVHouse is the online meeting place for racing multi-player Re-Volt. Download RVHouse. RVHouse is quite simple to use. In short you create or join a room. Everyone in the room will take part in the Re-Volt game when Re-Volt is started from RV House. For more information about using RVHouse go to the RVHouse guide. 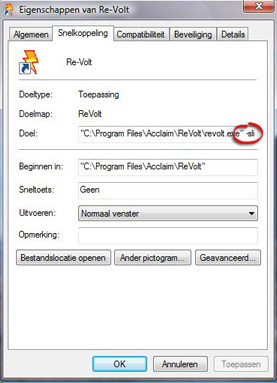 Find your Re-Volt executable "revolt.exe". Right click on it and choose the properties tab. With this mode enabled the error should not occur anymore. In Windows Vista you might get the error message "Can't flip buffers". To solve this you have to run Re-Volt with the -sli command. You can install the WolfR4 tool to do this or setup your system yourself (read below). 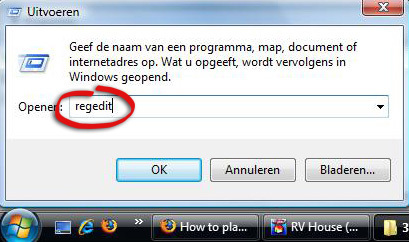 Right click on it and choose the shortcut tab. Add "-sli" in the target url. Click the Vista start button and choose "Run". Hit CTRL-F to open the search window and search for "Re-Volt" until you get a result that looks like the image below. In the CommandLine field enter "-sli". NOTE: In some systems you have to do this procedure every time you launch Re-Volt. 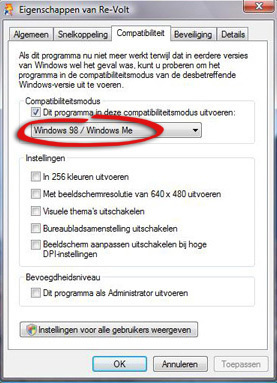 To make this easier you can make an export of the register settings by choosing "File", "Export" and save the register file. 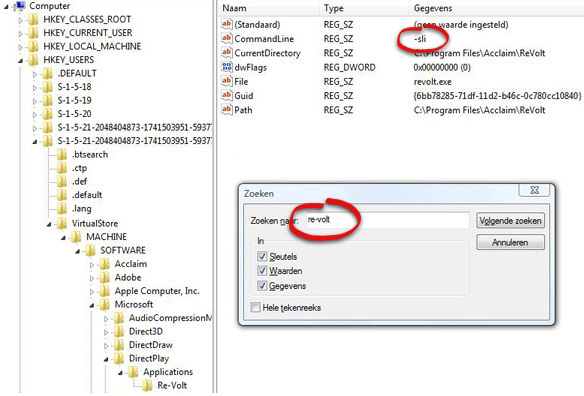 Before playing ReVolt you have run the .reg file. If you have a router and/or firewall you must configure them so that you can use RV House and play Re-Volt online. If you have both a router and a firewall, apply both instructions. Also see the "Forwarding" section on portforward.com. If you have trouble finding the right settings for your router. You can for example select eDonkey application and by similar procedure apply the settings outlined above to your router. If you are still having problems you might have a look at the ReVolt help documents.